enough? Is he being overfed? All these and more are thoughts I believe go through every parents heads. Then there are thoughts that are special and only apply to you and your child. So what’s on our mind this week? Is he getting enough food? Why his head is still a funny shape? Should his head have gone back to normal by now? If something says it’s suitable for 4 month old and he is 4.5 months old, is it suitable…even though he was born 5 weeks early? Will letting him stand up have an effect on his legs later on in life? Is he teething? Why has he gone from feeding every 4-5 hours to feeding every 3 hours? Is he rejecting the bottle or just upset? Are we gonna be able to manage once wifey goes back to work? Should I have really bought those new shoes? Should we try and move him to formula because breast feeding is becoming too demanding? When should we introduce “real” food? Why’s he still bald? Why do I worry so much? When he stays over at Grandparents, how will they cope with a crying baby? Why do I worry so much? Can he tell I’m worried and does it affect his mood? He is 4 month old and hasn’t been sick yet, does that mean he will grow up to be a virus fighting superhero (OK, thats not really a worry, it would just be cool!) Am I a good husband? Should I be doing more? Is wifey happy? Could I tell if she wasn’t? And the one that will haunt me for years…..Am I a good dad? 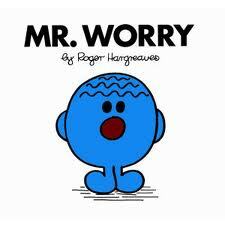 In the days and weeks to come, I am sure some of these worries will either disappear or of course come true, all I know is, I will have more worries to come! It’s nice to see that Dad worries too. My husband was stoic during those first few months and it was only later I learned that he was FREAKING OUT.